Picture - Air India 707-320B takeoff at Basel, Switzerland in 1976. 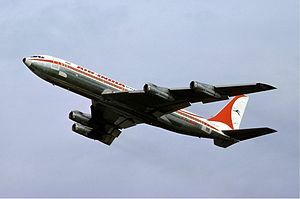 The Boeing 707 is a four-engine narrow-body commercial passenger jet airliner developed by Boeing in the early 1950s. Its name is most commonly pronounced as "Seven Oh Seven". The first airline to operate the 707 was Pan American World Airways, inaugurating the type's first commercial flight on October 26, 1958. Boeing delivered a total of 1,011 Boeing 707s including a smaller, faster model of the aircraft that was marketed as the Boeing 720. Boeing, during and immediately after World War II, was known for its military aircraft. 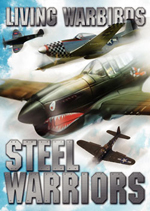 The company had produced innovative and important bombers, from the B-17 Flying Fortress and B-29 Superfortress, to the jet-powered B-47 Stratojet and B-52 Stratofortress. The company's civil aviation department lagged far behind Douglas and other competitors, the only noteworthy airliners being the Boeing 314 Clipper and 307 Stratoliner. During 1949-1950, Boeing embarked on serious studies for a new jet transports, realizing that any design must have the potential to fulfill both the military and civil markets. At the time, aerial refueling was increasingly becoming a standard operational technique, with over 800 KC-97 Stratotankers being on order. With the advent of the jet age, a new tanker was required to meets the USAF's fleet of jet-powered bombers; this was where Boeing's new design would potentially win military orders. Boeing studied a numerous wing and engine configurations for its new transport/tanker, some of which were based on the B-47 and C-97, before settling on Model 367-80. The "Dash 80" took less than two years from project launch in 1952 to rollout on May 14, 1954, then first flew on July 15, 1954. It was powered by the Pratt & Whitney JT3C turbojet engine, which was the civilian version of the J57 used on many military aircraft of the day, including the F-100 fighter and the B-52 bomber. The 132-inch (3,350 mm) fuselage of the Dash 80 was only wide enough to fit two-plus-two seating (in the manner of the Stratocruiser). Answering customers demands and under Douglas competition, Boeing soon realized that this would not provide a viable payload, so decided to widen the fuselage to 144 in (3,660 mm), the same as the KC-135 Stratotanker, which would allow six-abreast seating - and the shared use of the KC-135's tooling. However, Douglas Aircraft had launched its DC-8 with a fuselage width of 147 in (3,730 mm). The airlines liked the extra space, and so Boeing was obliged to increase the 707's cabin width again, this time to 148 in (3,760 mm). This meant that little of the tooling that was made for the Dash 80 was usable for the 707. The extra cost meant the 707 did not become profitable until some years after it would have if these modifications had not been necessary. Picture - View of number 1 (top left) and 2 (center) Pratt & Whitney JT3D jet engines on the port side of a British Caledonian Boeing 707-320B. The number 1 engine mount (top) is different from the other three engines. The 707's used engine-driven turbocompressors to supply high-pressure air for pressurization. The engines could not supply sufficient bleed air for this purpose without a serious loss of thrust. On many commercial 707s the outer port (#1) engine mount is distinctly different from the other three, as this is the only engine not fitted with a turbocompressor. With engines 2 through 4 being fitted with TCs, they provide the triple redundancy required of the aircraft's cabin pressurization and air-conditioning system. The P&W JT3D-3B engines are readily identifiable by the large gray secondary air inlet doors in the nose cowl. These doors are fully open (sucked in at the rear) during takeoff to provide additional air. When the engines are throttled back to cruise, the doors are shut. Pratt & Whitney, in a joint venture with Seven Q Seven (SQS) and Omega Air, has developed the JT8D-219 as a re-engine powerplant for Boeing 707-based aircraft, calling their modified configuration a 707RE. Northrop Grumman has selected the -219 to re-engine the United States Air Force's fleet of 19 E-8 Joint STARS aircraft, which will allow the J-STARS more time on station due to the engine's greater fuel efficiency. NATO also plans to re-engine their fleet of E-3 Sentry AWACS aircraft. The -219 is publicized as being half the cost of the competing 707 re-engine powerplant, the CFM International CFM56, and is 40 dB quieter than JT3D engines that are being replaced. Picture - Conway-powered BOAC 707-436 at London Heathrow Airport in 1964. Picture - 707-120B (VC-137B) wing, showing the new inboard leading edge from the 720. Also, note the British Airways Concorde G-BOAG to the side. Picture - British Caledonian Boeing 707 shown at Glasgow Prestwick Airport, South Ayrshire, Scotland, c. 1972. The 707-320C has a convertible passenger-freight configuration which became the most widely produced variant of the 707. The 707-320C added a strengthened floor and a new cargo door to the -320B model. 335 of these variants were built, including a small number with uprated JT3D-7 engines and a takeoff gross weight of 336,000 lb (152,000 kg). Despite the convertible option, a number of these were delivered as pure freighters. One of the final orders was by the Iranian Government for 14 707-3J9C aircraft capable of VIP transportation, communication, and in-flight refuelling tasks. The 707-420 is a version of the 707-320 originally produced at specific request for BOAC and powered by Rolls-Royce Conway 508 turbofans, producing 17,500 lbf (77.8 kN) each. Although BOAC were first to order the 707-320 delays in getting British certification meant that Lufthansa were the first to receive and operate the 707-320 in February 1960. A total of 37 were built to this configuration. The 720 was originally designated 707-020 but later changed for marketing reasons. It was a modification of the 707-120 designed for medium-range operation from shorter runways. It had four frames removed in front of the wing, and one aft, making it 8 feet 4 inches (2.54 m) shorter than the -120, and certified to a lower maximum takeoff weight. The wing modifications consisted of adding Krueger flaps outboard of the outboard engines to lower takeoff and landing speeds and thus shorten field length, and a thickened inboard section at the leading edge which had a slightly greater sweep. This modification increased the top speed over the -120, and was later available on the -120B and on -120s retrofitted to the B standard. This model had few sales but was still profitable due to the minimal R&D costs associated with modifying an existing type. At one point in the promotion stage to airlines it was known as the 717, although this was the Boeing model designation of the KC-135 and remained unused for a commercial airliner until it was applied to the MD-95 following Boeing's merger with McDonnell Douglas. The 720 was used before the Boeing 727 replaced it in the market. Its first flight was on November 23, 1959, and 64 of the original version were built. The 720B was the turbofan-powered version of the 720, with JT3D-1-MC6 turbofans producing 17,000 lbf (75.6 kN) each. Takeoff gross weight was increased to 235,000 lb (107,000 kg). A total of 89 of these were built in addition to conversions of existing 720s. Boeing built a combined 154 of both 720 models from 1959 to 1967. 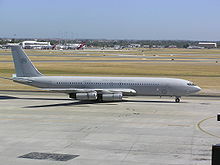 Although 707s are no longer employed by major airlines, as of March 2011, 43 aircraft were in use mainly with air cargo operators and air forces in Africa, Middle East and South America. 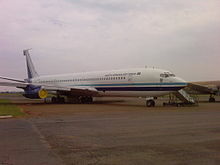 Commercial operators of the Boeing 707 include Saha Airline, BETA Cargo, Enterprise World Airways, Libyan Airlines, Mid Express Tchad, Hewa Bora Airways and some other users with mostly stored aircraft. The Romanian Government uses a 707-320C as a Presidential Aircraft, being operated by Romavia. American actor John Travolta owns, and is qualified to fly as second in command, an ex-Qantas 707-138B, registration N707JT. Picture - Boeing 707s at AMARG being used for salvage parts for the KC-135s. On October 19, 1959, a Boeing 707-227 crashed northeast of Arlington, Washington while on a training flight for Braniff International Airways. Four people were killed in the crash, and four survived. On February 15, 1961, Sabena Flight 548, 707-320, crashed while on approach to Brussels Airport, Belgium. A total of 73 people were killed, including the United States Figure Skating team. On March 1, 1962, American Airlines Flight 1, a 707-123B, crashed into Jamaica Bay after taking off from Idlewild Airport (now JFK Airport) while heading for Los Angeles International Airport. All 95 people on board died. On May 22, 1962, Continental Airlines Flight 11, 707-124, was destroyed by a bomb while en route from Chicago, Illinois, to Kansas City, Missouri. Everyone on board was killed. On June 3, 1962, Air France Flight 007, a 707-300, crashed while attempting to takeoff from Paris's Orly Airport. The crash killed 130 people aboard; two stewardesses survived. 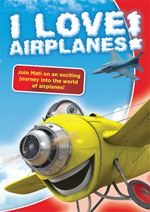 It was, at the time, the worst single-plane disaster. On June 22, 1962, Air France Flight 117, a 707, crashed into a hill in Guadalupe while attempting to land at Pointe-x�-Pitre, killing all 113 aboard. On November 27, 1962: Varig flight 810, a Boeing 707-441 registration PP-VJB flying from Rio de Janeiro-Galex�o to Lima, after initiating an overshoot procedure at the suggestion of the control tower because it was too high, proceeded to start another approach when it crashed into La Cruz peak, 8 miles away from Lima Airport. Possibly there was a misinterpretation of navigation instruments. All 97 passengers and crew aboard died. On February 12, 1963, Northwest Orient Airlines Flight 705, a 720B, suffered an in-flight break-up over the Florida Everglades approximately 12 minutes after leaving Miami, bound for Chicago. All 35 passengers and eight crew died. The cause of the crash was determined to be an unrecoverable loss of control due to severe turbulence. On December 8, 1963, Pan Am Flight 214, a 707-121, crashed outside Elkton, Maryland during a severe electrical storm, with a loss of all 81 passengers and crew. 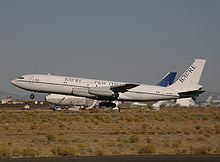 The Boeing 707-121, registered as N709PA, was on the final leg of a San Juan - Baltimore - Philadelphia flight. On May 20, 1965, Pakistan International Airlines Flight PK 705, a 720, crashed short of the runway at Cairo International Airport, killing 119 of the 125 people on board. On September 17, 1965, Pan Am Flight 292, 707-120B, crashed into the side of a mountain in a storm on the island of Montserrat killing all 30 passengers and crew on board. On January 24, 1966, Air India Flight 101, a 707-437, crashed into Glacier des Bossons on the SW face of Mont Blanc in the French Alps. All 106 passengers and 11 crew were killed. On April 8, 1968, BOAC Flight 712, a 707-465, suffered engine failure on takeoff from London Heathrow Airport followed by an engine fire. The plane made an emergency landing back at the airport, but an explosion in the port wing caused the plane to catch fire. Four passengers and a flight attendant were killed and 122 escaped. On April 20, 1968, South African Airways Flight 228 crashed shortly after takeoff from Windhoek, Namibia. The crew used a flap retraction sequence from the 707-B series on newly-delivered 707-C, which retracted the flaps in larger increments than desirable for that stage of the flight, leading to a loss of lift at 600 ft (180 m) above ground level. The inquiry blamed the crew for not observing their flight instruments when they had no visual reference. On December, 12 1968, Pan Am Flight 217, a 707, en route to Caracas, Venezuela, crashed into the Caribbean Sea. All 51 passengers and crew on board died. City lights may have caused an optical illusion that affected the pilots. On July 11, 1973, Varig Flight 820, a 707 registered PP-VJZ, on scheduled airline service from Galex�o Airport, Rio de Janeiro, Brazil to Orly Airport, Paris, France made an emergency landing in a field in the Orly community due to smoke in the cabin. The fire, smoke and crash resulted in 123 deaths, with 11 survivors (10 crew, one passenger). On July 22, 1973, Pan Am Flight 816, a 707-321C, crashed shortly after takeoff at Papeete, Tahiti resulting in 78 deaths. On November 3, 1973, Pan Am Flight 160, a 707-321C, crashed on approach to Boston-Logan. Smoke in the cockpit caused the pilots to lose control. Three people were killed in the hull-loss accident. On January 1, 1976, Middle East Airlines Flight 438, a 720B, was destroyed en-route from Beirut to Dubai by a bomb in the forward cargo hold. All 66 passengers and 15 crew were killed. On April 20, 1978, Korean Air Lines Flight 902, a 707, was hit by a missile fired from a Soviet Sukhoi Su-15 interceptor after it had entered Soviet airspace. This caused a rapid decompression of the fuselage which killed two passengers. The 707 made an emergency landing on a frozen lake near Murmansk, USSR. On January 30, 1979, a Varig cargo 707-323C, registration PP-VLU crashed while flying from Tokyo to Rio de Janeiro. Causes are unknown since the wreck was never found. On January 3, 1987, Varig Flight 797, a 707-379C, crashed when making a return to Abidjan, Cx�te d'Ivoire after one of its engines failed. One person survived out of the 51 people onboard. On November 29, 1987, Korean Air Flight 858, a 707-3B5C, exploded over the Andaman Sea, in the Indian Ocean in a terrorist attack with a bomb placed by North Korean agents. All 115 people on board died. On January 25, 1990, Avianca Flight 52, a 707-321B, crashed after running out of fuel in Long Island, New York. The 707 was delayed numerous times because of heavy fog in New York. A total of 73 people died. On October 23, 1996, a 707 belonging to the Argentinian Air Force crashed on takeoff roll after failing to achieve required takeoff speed (V2) at Buenos Aires International Airport (EZE). On September 21, 2000, the 707 belonging to the Government of Togo coming from Valencia Airport, Spain en route to Lom�-Tokoin Airport, Togo, experienced a cockpit fire approximately 200 km/125 miles from Niamey, Niger, and crash landed at Hamani Diori Airport, Niger. None of the 10 people aboard was killed but the aircraft was destroyed by subsequent fire. On July 4, 2002, a 707-123B on a Gomair flight from N'Djamena Airport, Chad to Brazzaville-Maya Maya Airport, Rep. of Congo carrying a mixed load of cargo and passengers crashed. It experienced technical problems and diverted to Bangui, Central African Republic. On landing approach it descended too quickly and made ground-contact in a suburb. It subsequently bounced and broke up. Of the 30 people on board, 28 died in the accident. On October 23, 2004, a BETA Cargo 707 on a Cargo flight from Manaus-Eduardo Gomes International Airport, Brazil to Sx�o Paulo-Guarulhos International Airport, Brazil aborted takeoff from Manaus due to a "loud noise". The aircraft afterwards started tilting to the right. It appeared the landing gear ruptured the right wing. The 37-year old aircraft (registration PP-BSE) was written-off. On March 19, 2005, a Cargo Plus Aviation-owned 707-300 freighter on a wet-lease to Ethiopian Airlines crashed into Lake Victoria on approach to Runway 35 at Entebbe, Uganda on the lake's northern shore. The 31-year-old 707 freighter was on approach to Runway 35 during its second attempt to land. Its right wing clipped an outcrop on approach and it began to break up. The accident happened in heavy rain. The aircraft broke up, but the crew of five survived. On 20 April 2005, Saha Air Lines Flight 171, a 707-3J9C, registration EP-SHE, flying from Kish Island, crashed on landing at Mehrabad Airport, Tehran following an unstabilized approach with a higher than recommended airspeed. Gear and/or a tyre failed after touchdown and the flight overran the far end of the runway. Of the 12 crew and 157 passengers, three passengers were killed, reportedly falling into the river after evacuation. On 21 October 2009, Azza Transport Flight 2241, a 707-320, crashed shortly after takeoff from Sharjah International Airport, United Arab Emirates. The flight was carrying cargo only and all six crew members were killed. N70700 Model 367-80 (Prototype) previously at the Museum of Flight, Seattle, Washington; now at Steven F. Udvar-Hazy Center, Washington, D.C.
N714PA Model 707-321 (msn. 17592, no. 13) The nose section of this former Pan American aircraft is on display at the New England Air Museum at Bradley International Airport (KBDL), Windsor Locks, CT.
58-6971 Model 707-153B (VC-137B) (msn. 17926, no. 40) USAF VIP transport on display at Davis-Monthan Air Force Base, Tucson, AZ. F-BLCD Model 707-328B (no. 471) is on display at the Mus�e de l'Air et de l'Espace, Paris, France. Bowers, Peter M.. Boeing Aircraft since 1916. London: Putnam Aeronautical Books, 1989. ISBN 0-85177-804-6. Bradley, Catherine. Boeing 707 Super Profile. Yeovil, Somerset UK: Haynes Publishing, 1983. ISBN 0-85429356-6. Francillon, Ren�. Boeing 707: Pioneer Jetliner. Shrewsbury, Shropshire, UK: Motor Books International, 1999. 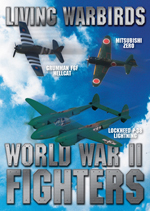 ISBN 0-76030675-3. Cook, William H. Road to the 707: The Inside Story of Designing the 707. Bellevue, WA: TYC Publishing Company, 1991. ISBN 0-96296-050-0. Lloyd, Alwyn T. Boeing 707 & AWACS in Detail and Scale. Falbrook, CA: Aero Publishers, 1987. ISBN 0-83068533-2. Proctor, Jon. 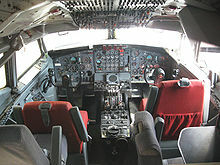 Boeing 720. Miami, FL: World Transport Press, 2001. ISBN 1-892-43703-1. Schiff, Barry J. The Boeing 707. Blue Ridge Summit, PA: Tab Books, 1982, First edition 1967, . ISBN 0-81685-653-2. Smith, Paul Raymond. Boeing 707 - Airline Markings No. 3. Shrewsbury, Shropshire, UK: Swan Hill Press, 1993. ISBN 1-85310087-0. Stachiw, Anthony L. and Andrew Tattersall. Boeing CC137 (Boeing 347C) in Canadian Service. St. Catherines, ON: Vanwell Publishing Ltd., 2004. ISBN 1-5512-5079-9. Whittle, John A. The Boeing 707 and 720. Tonbridge, Kent: Air Britain (Historians), 1972. ISBN 0-8513-0025-1. Wilson, Stewart. Airliners of the World. 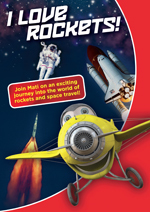 Fyshwick, ACT, Australia: Aerospace Publications Pty Ltd., 1999. ISBN 1-875671-44-7. Winchester, Jim. Boeing 707. Shrewsbury, Shropshire, UK: Airlife, 2002. ISBN 1-84037311-3.